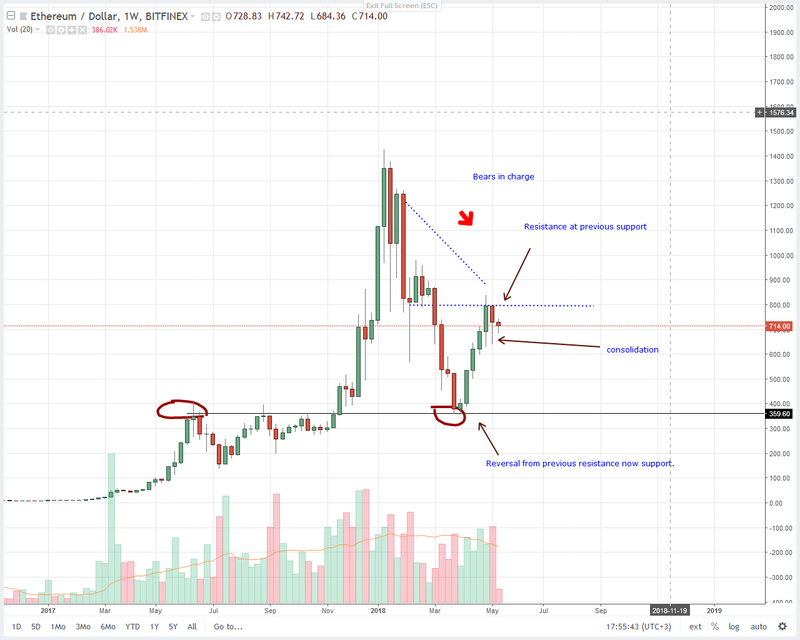 Even though Ethereum is trading at 50 percent of its ATHs, chances are it might retrace in the coming days. In the last 24 hours for example, it is down three percent after failing to surge past $900 earlier this month. Now, because we have these lower lows, taking shorts might be a good trading strategy that flows well with the current trend. Remember Nigel Green, the Founder of deVere Group? Well, he projected that Ethereum might close at $2,500 a piece by the end of the year. That’s pretty much outlandish from those who think Ethereum’s end is near. 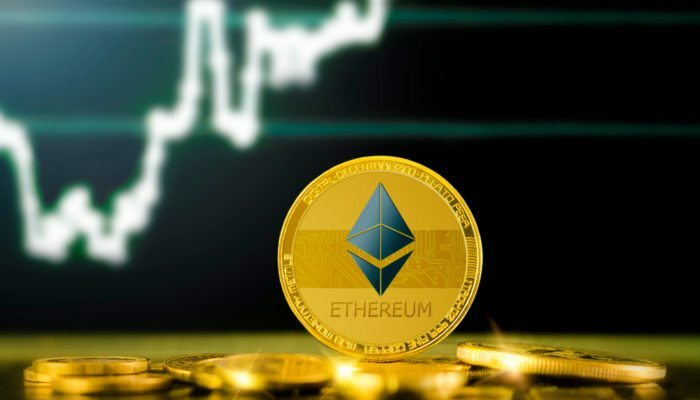 It’s without a doubt that despite the difficulties of Crypto Kitties and scaling concerns by the end of 2017, Ethereum remains a platform of choice for many blockchain startups looking to leverage on its smart contract abilities. Simply put, Ethereum is the king of Smart Contracts. Then again, developers are working hard behind the scene on Casper and Sharding that will eventually deal with scaling problems. So, in my view, it wasn’t hard a choice for UK’s Crypto Facilities to come up with Ethereum Futures. With this release, Crypto Facilities now have four different crypto futures that would help oil the crypto sphere with liquidity. A few days later, Crypto Facilities joined hands with the Chicago Mercantile Exchange (CME) creating the CME CF Ether-Dollar Reference Rate and the Real Time Index. 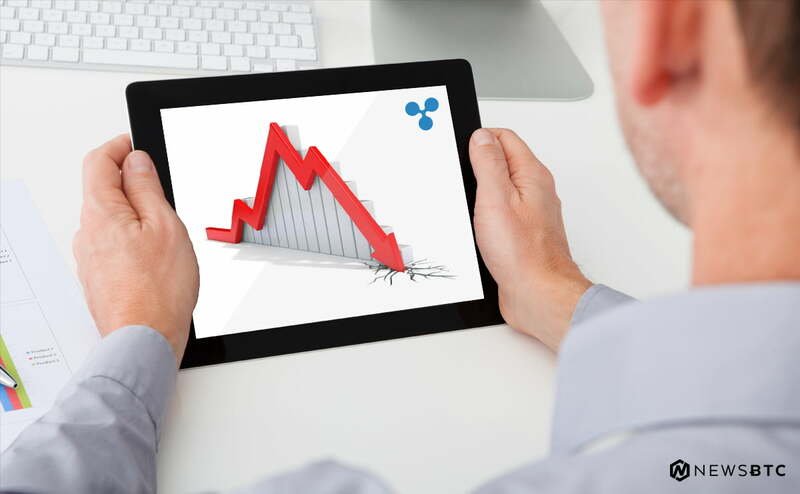 According to their joint press release, the Ether-Dollar Reference Rate would provide a standard and a spot price index from live Bitstamp and Kraken spot rates. Today we're launching the CME CF #Ether-Dollar Reference Rate and Real-Time Index. Both products shall be overseen by an independent committee who shall from time to time meet to review the practice standards and setting the code of conduct governing the standard. Lest we forget, we haven’t seen strong institutional involvement in Ethereum and unlike Bitcoin futures, caution should be practiced. What interests me in this chart is the series of higher highs following that bullish bounce from support at $350. While we remain bearish we must be cognizant of Ethereum buyers who are trying to push prices above the immediate resistance line at $850 though with small volumes. Remember, prior to this, we only needed buyers to push and close above the main buy trigger line at $900. However, sellers are now finding shorting opportunities at every highs as price-volume relationship hints of. Notice that after week ending May 6, there was an immediate spike in volume but rather than inching higher, there was a drop in prices albeit with a long lower wick. So, if Ethereum buyers are indeed in charge then they must breach $850 with strong volumes. Otherwise, any break below $600 shall attract bear waves reversing April gains. Like the weekly chart, bears seems to be in charge in the daily chart. Here, we can see waves of lower lows after that strong bullish push towards $1350 in the first week of January 2018. At the moment though, buyers are finding resistance with every higher highs. On May 6 for example, there was a deluge of sell pressure with volumes spiking to 243K up from 193K the previous day. 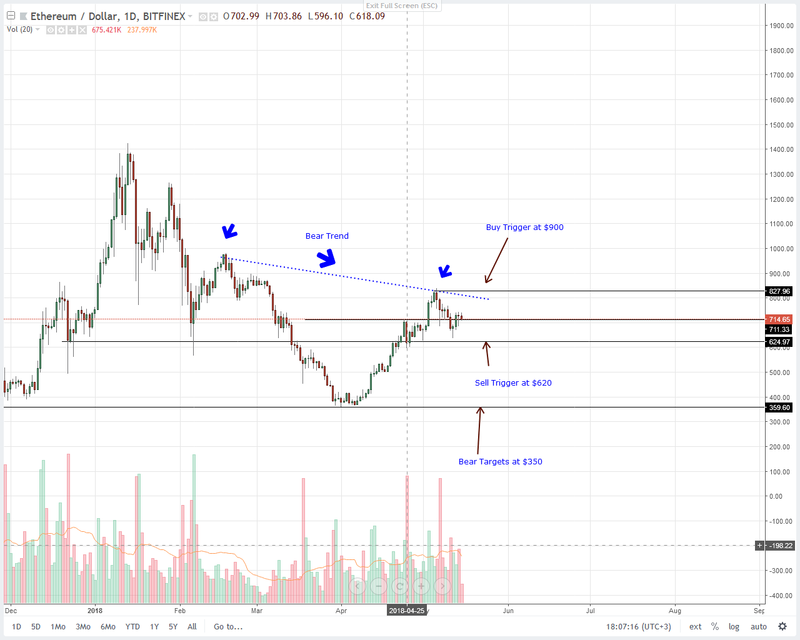 From there sellers have been consistent and despite the last few days attempts of resistance retest, we might see lower lows.Aggressive sellers can sell now and aim for $350 but conservatives can wait for bears breach at $600 before aiming for $350 with stops at $740.